The Central Florida road trips and scenic drives recommended by Florida Backroads Travel are generally off the beaten path to avoid the heavy traffic of the major theme parks. I-4 is the east-west interstate in this region. It crosses the state of Florida from Daytona Beach through Orlando to Tampa. The Florida Turnpike is a major north-south toll road in this region. It starts in Wildwood south of Ocala and terminates in Miami. A branch of the Turnpike splits off north of Miami and heads south and east to Homestead on the way to the Florida Keys. The interstate exits are crowded with gas stations, fast food restaurants and motels. You can travel the state quickly and easily on these highways (except during rush hours), but not see much scenery or real towns as you will on my recommended Central Florida day trips. The town signs you do see are usually a few miles from the downtown section. The fun begins when you get off the interstate and hookup with the less traveled roads. There are many state and county highways off the interstate that offer better scenery and a look at real towns. In Florida, some backroads are even four-laned. If you are more interested in destinations than driving routes, see Orlando Florida Day Trips or The Villages Florida Day Trips . Park Avenue from US-17/US-92 in Maitland south through Winter Park to the beautiful campus of Rollins College on the shore of Lake Virginia. Then meander along the residential streets on the lake shores south into Orlando. Beautiful old homes, sparkling blue lakes and green tree canopies. 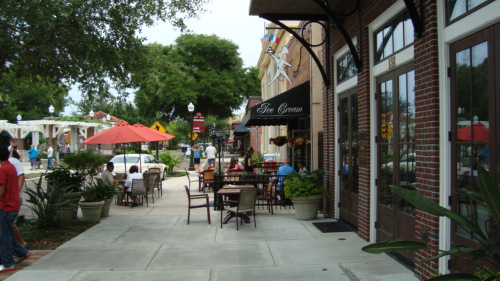 Great shopping and dining on brick paved Park Avenue in downtown Winter Park. One of my favorite central Florida day trips.About 12 miles. 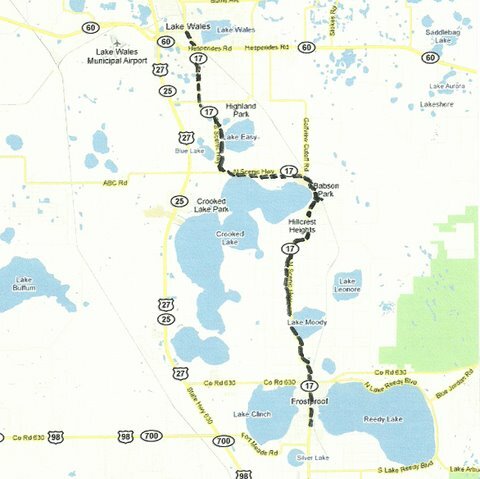 State Road 535 from Lake Buena Vista north to Chase Road, then east to Windermere. 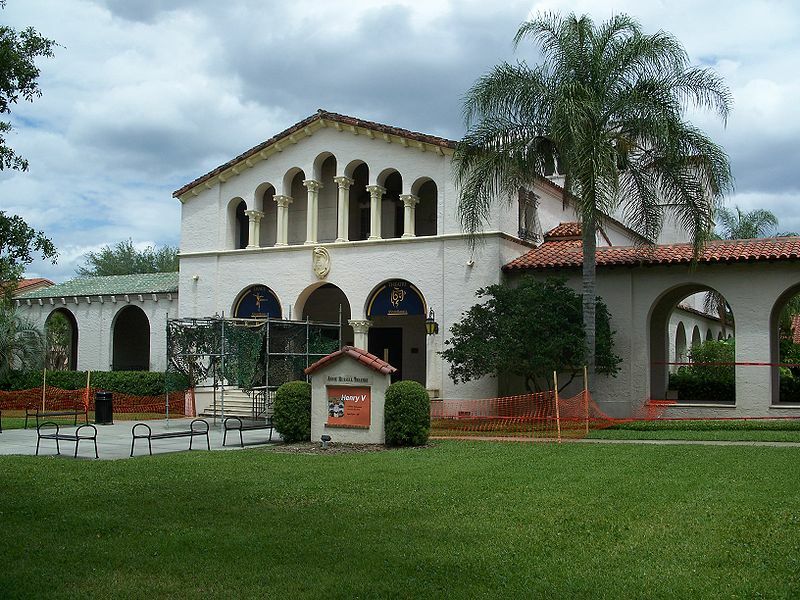 Old Florida houses, well maintained orange groves, crystal clear lakes and the pretty little tree shaded town of Windermere to enjoy lunch and strolling. Surrounded by gated communities that are home to the rich and famous. About 12 miles. 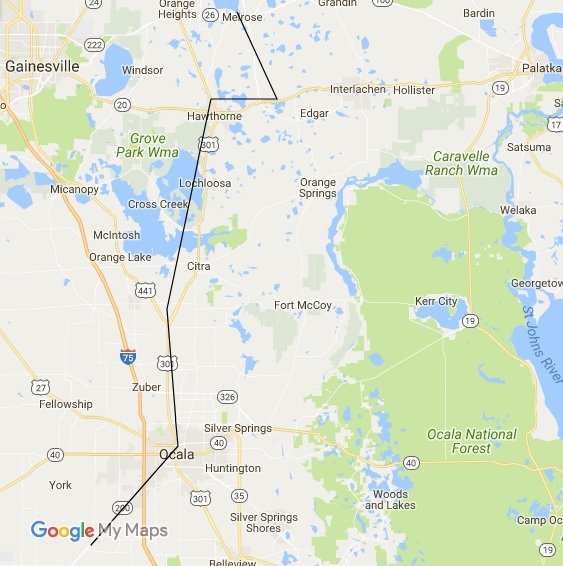 US-17 from Orlando to Winter Haven and Legoland through Kissimmee and Haines City. 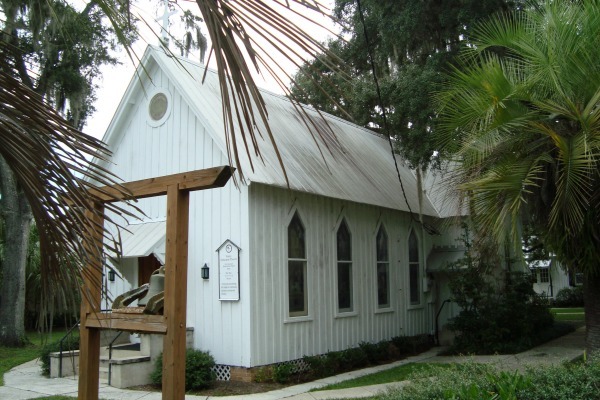 Orange groves, small towns, big oak trees as you enjoy your Central Florida day trips. Visit Legoland while you are in Winter Haven. About 47 miles. US-441 from Orlando to Mount Dora through Apopka. 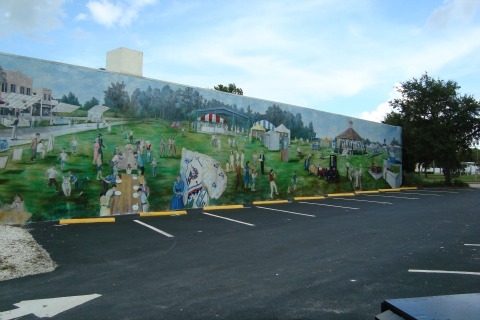 Rolling country, great art galleries and shows in Mount Dora, and a large antique center at Renningers. 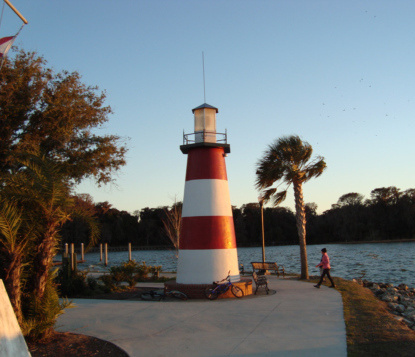 Make sure to visit Mount Dora on at least one of your Central Florida day trips. About 27 miles. 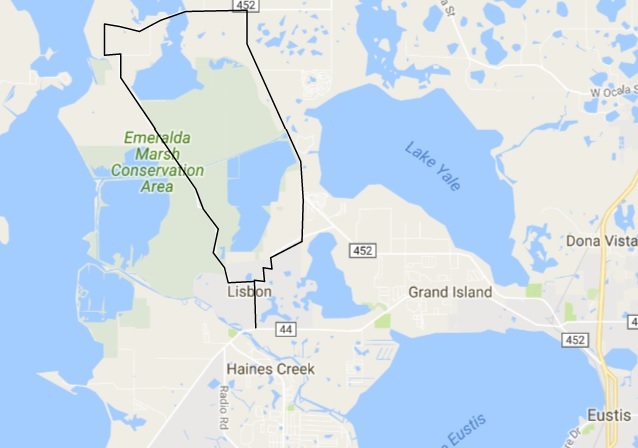 US-27 from Clermont to Lake Wales through Haines City. Some congestion in the area where you cross I-4, but beautiful groves and rolling hills as you get south of the interstate. 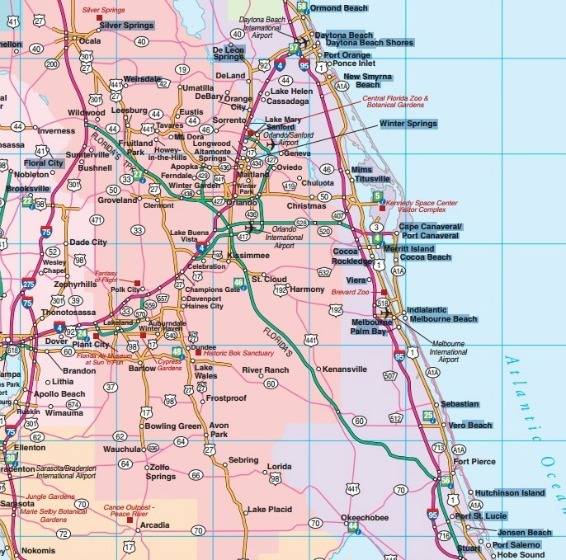 Southern central florida day trips are much less congested than the areas further north. About 50 miles. 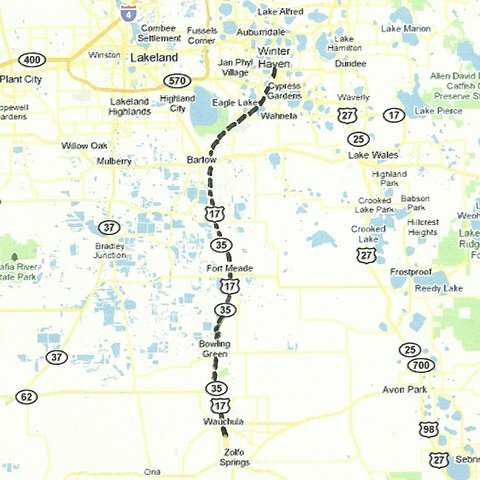 US-27 from Lake Wales to Lake Placid through Avon Park and Sebring. Interesting small towns, a large observation tower in Lake Placid (closed as of September 2010), and dozens of colorful murals on the commercial buildings in downtown Lake Placid. About 50 miles. SR-19 from Groveland to Mount Dora through Howey In The Hills, Tavares and Oakland Park. Take Old 441 from Tavares oninto Mount Dora. Rolling hills, old groves, little towns, art, antiques. Stop at Boondockers on Little Lake Harris in Howey In The Hills for a beer and good food. One of the nicest central Florida day trips. About 26 miles. US-17 from Winter Haven to Wauchula through Bartow, Fort Meade and Bowling Green. 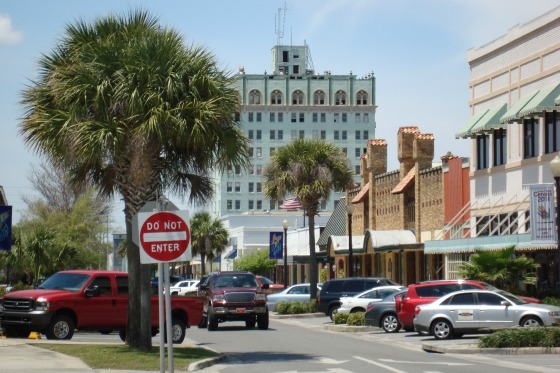 Old Florida again, small towns, healthy little downtowns, many of them in the Florida Main Street program. About 36 miles. 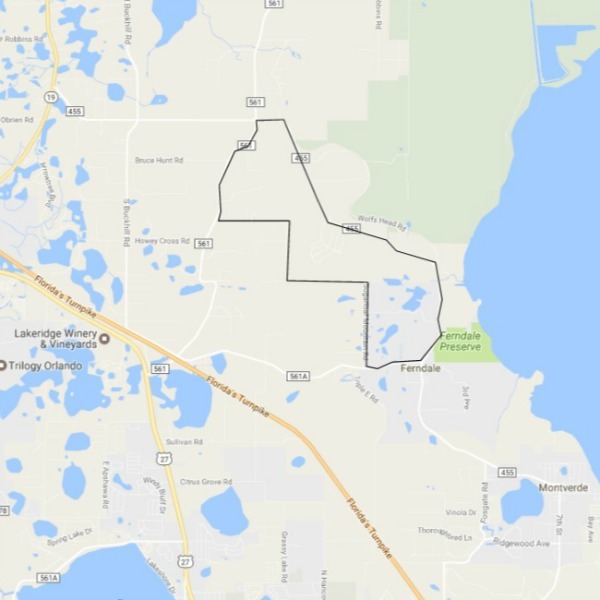 Old Scenic Highway 17 from Lake Wales south to Frostproof through Highland Park and Babson Park . Rolling groveland, heart of citrus country. The smell of orange blossoms in the spring will make you want to live in Florida forever. At least that's what happened to me more than a half century ago. This is one of the central Florida day trips that convinced me to move to Florida many years ago. About 14 miles. 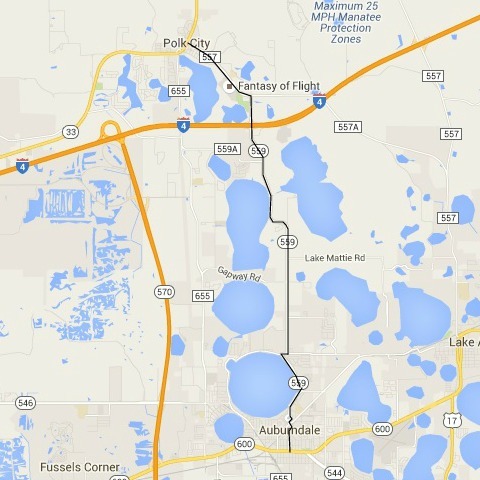 SR-557 from Polk City to SR-559 at I-4 to Auburndale. Rolling groveland and pretty little towns. 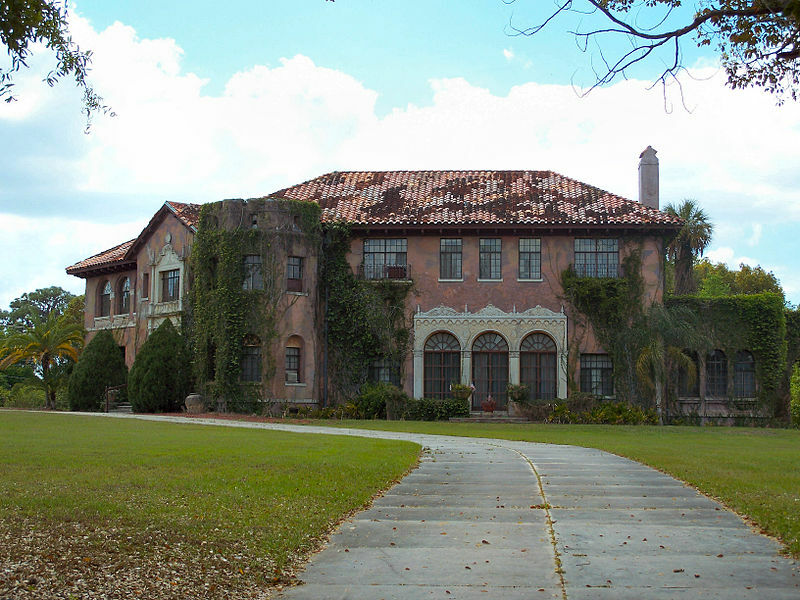 Drive around the big lake in the heart of Auburndale and enjoy the old houses and the crystal clear waters. About 10 miles. 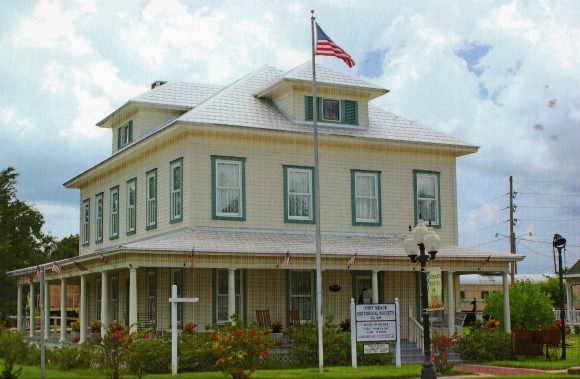 This trip starts from Mount Dora going west on Old US441 until it meets State Road 19. Take 19 through Eustis and Umatilla to Altoona, where you will turn west on State Road 42. Beautiful wooded rolling terrain along the south side of the Ocala National Forest. Take 42 all the way to US-27/441, then go south to The Villages. Stop in the main square for lunch, a drink, a concert, or all of those. 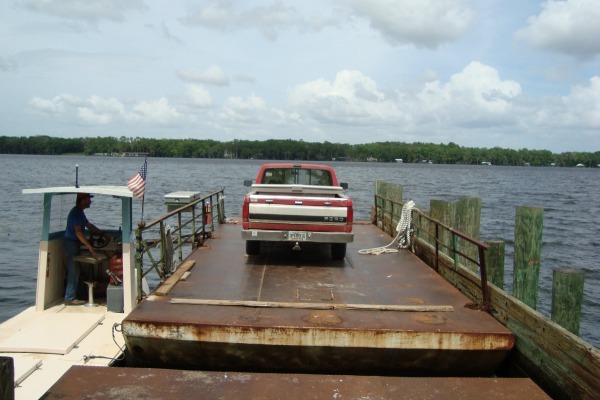 Leave The Villages and continue south on US-441 all the way back to Mount Dora. About 60 miles. Leave US-441 at Lady Lake, go east and meander left until you reach Lake Griffin Road. Follow it all the way to where it ends at the Harbor Hills development. 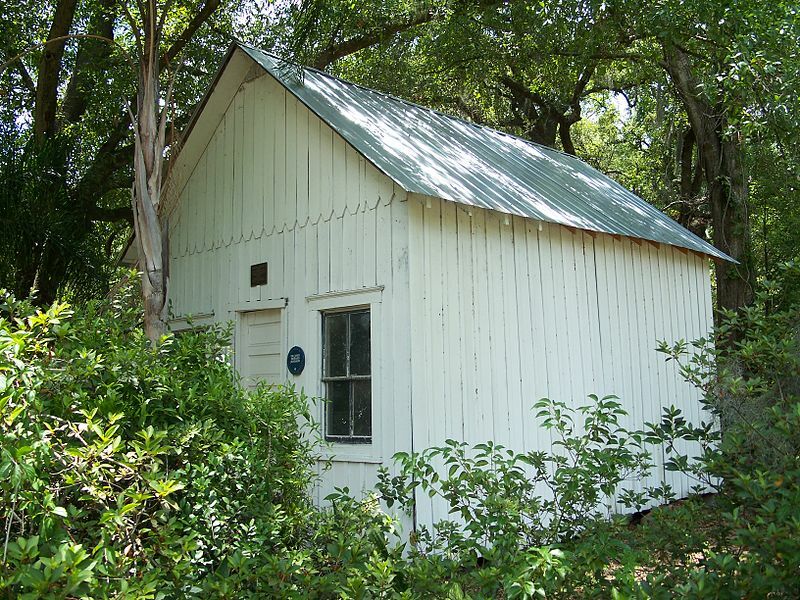 Turn left on dead end Matthews Rd and take a peek at an old Florida fish camp. 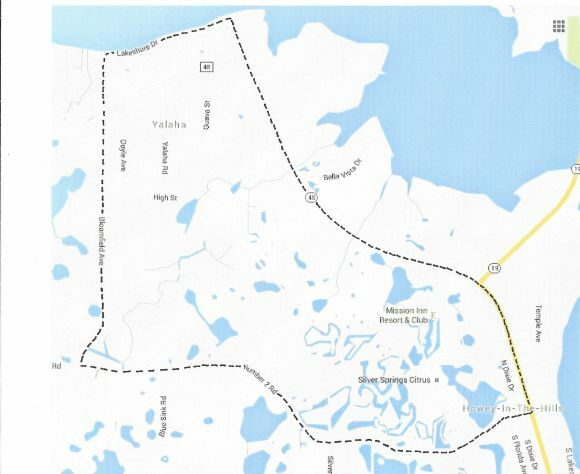 Then go back to Lake Griffin Road and turn right on Marion County Road. Go north to tee intersection, then turn left. Go to SE 155th Ave and turn right (north). Go to State Road 42, then left to Weirsdale, south on State Road 25 back to Lady Lake. Rolling fields and hills, sparse development, neat old houses, one of the quietest central Florida day trips yet so close to a rapidly urbanizing area. The way Florida used to be and still is here. 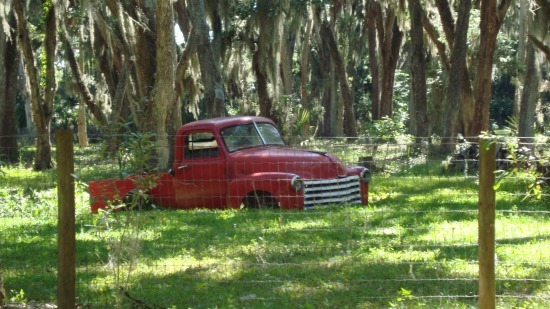 Next door to The Villages Florida. Start in downtown Howey-In-The-Hills. Go west on Number 2 Rd to Bloomfield Ave, then north across State Road 48 to Lakeshore Drive. Follow Lakeshore along shore of Lake Harris. Turn left at old church built in 1875, then continue to Lime Ave and back to State Road 48. 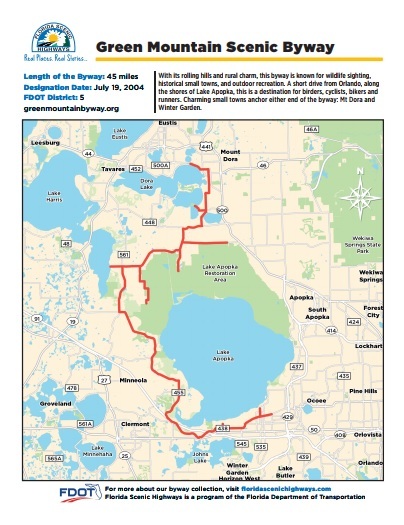 Follow State Road 48 back to Howey or take State Road 19 across the lake to Tavares. Rolling farmland, old houses, beautiful lake shore, old houses. 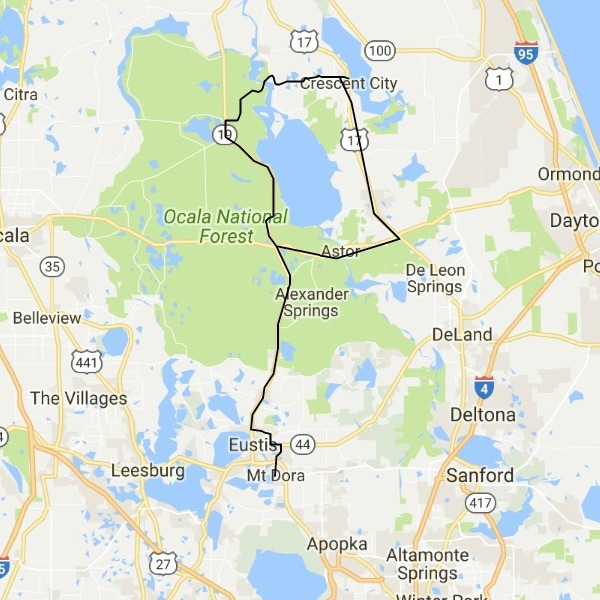 Ocala National Forest Drive from Mount Dora to Melrose. 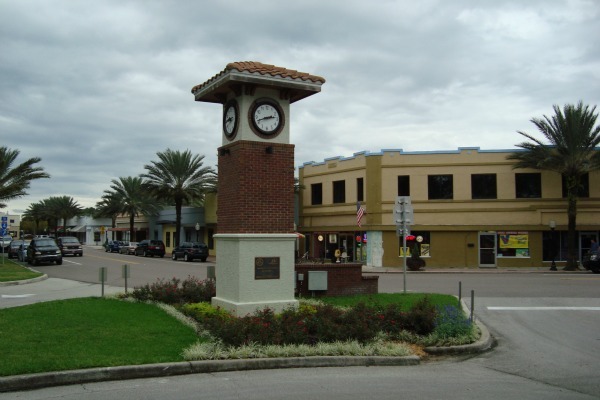 Start in downtown Mount Dora and take Donnelly St north past US-441 until it becomes SR-44. Turn west at stoplight and turn right (north) in one block on Estes Road (CR44A). Stay on CR44A into Umatilla, then north on SR-19. 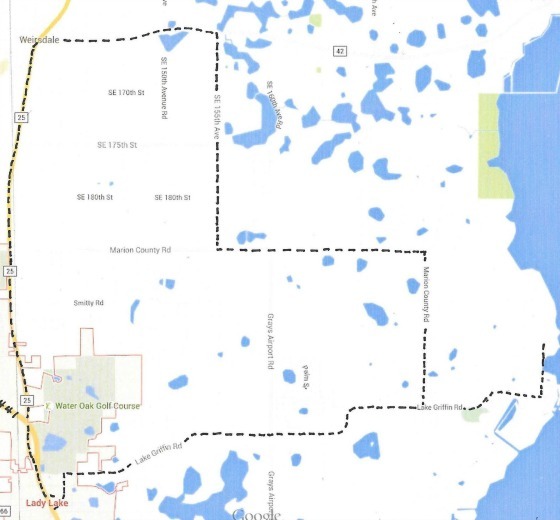 Follow SR-19 north to past Salt Springs, then west on CR316 to Fort McCoy. Then north on CR315 to Orange Springs. Then north on CR21 to SR-20. Then west on SR-20 to SR-21. Then north to Melrose. No other central Florida day trips can match the quiet grandeur of the Ocala National Forest. About 90 miles one way. 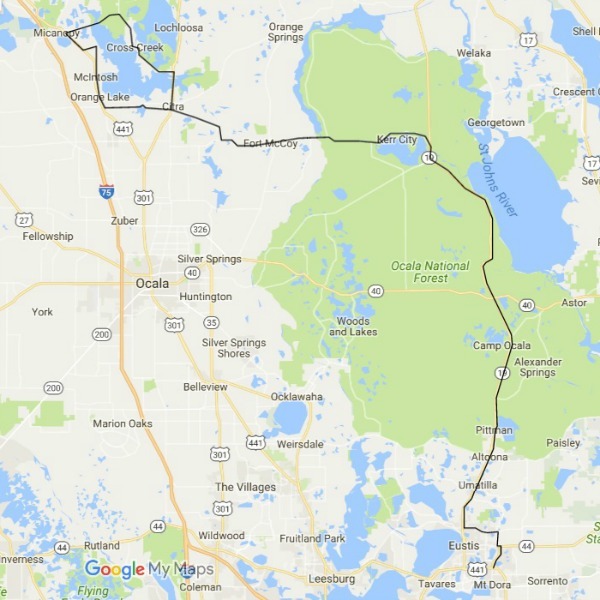 Mount Dora to Cross Creek, Micanopy, Evinston and McIntosh via the Ocala National Forest. Take SR-44 north from Mount Dora. Turn west (left) at stoplight and turn right (north) in one block on Estes Road (CR44A). Stay on CR44A into Umatilla, then north on SR-19. Follow SR-19 north to past Salt Springs, then west on CR316 to Fort McCoy. Turn right about 5 miles west of Fort McCoy on NE 175th Street Road. Follow this road to US-301. Turn right on US-301 to Citra. At Citra, turn left on County Road 325 to Cross Creek. 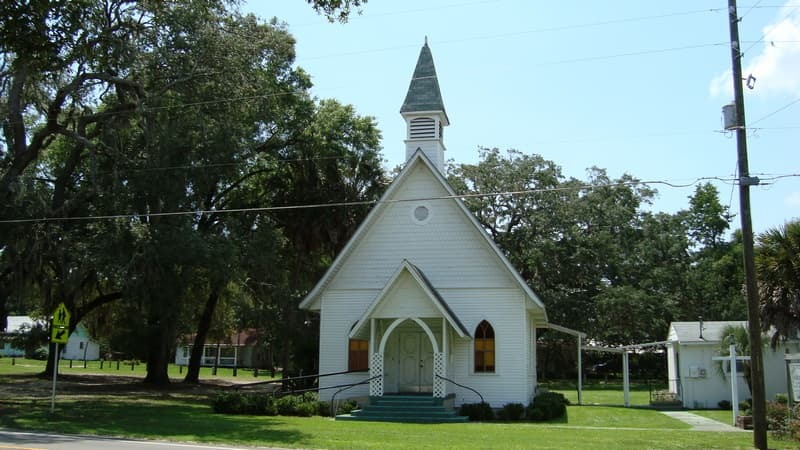 Stay on CR-325 through Cross Creek and turn left on CR-346 to Micanopy. 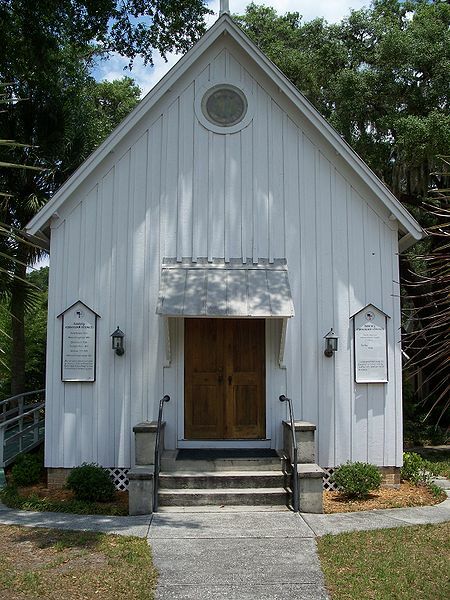 From Micanopy, turn right on US-441 then turn left on NW 230th St to CR-225. Turn left and visit Wood and Swink Store and U.S. Post Office. Go south on CR-225 to US-441 and McIntosh. Go south on US-441 from McIntosh through Orange Lake to County Road 318. Turn left on CR-318 back to Citra. About 80 miles one way. 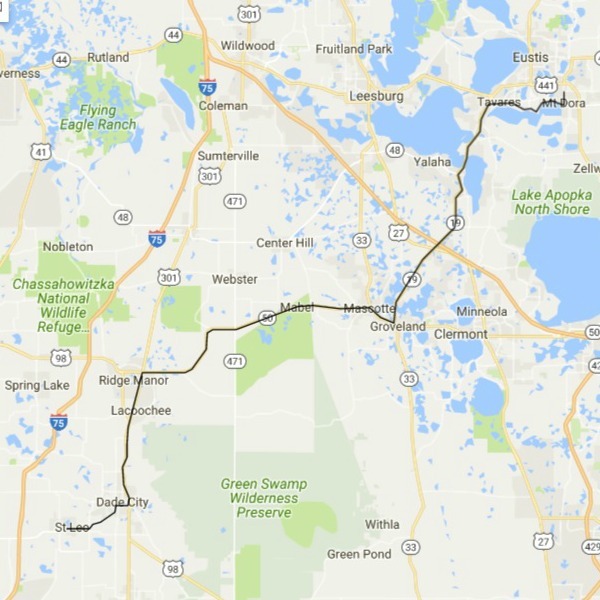 Mount Dora to Dade City and St. Leo. 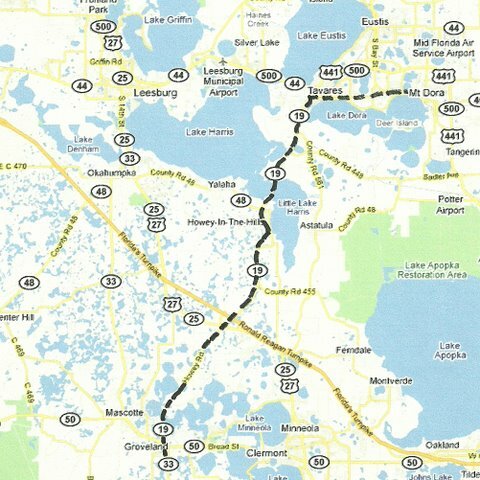 Take Old 441 from Mount Dora through Tavares to SR-19. Turn left on SR-19 and go south through Howey In The Hills to SR-50 in Groveland. Turn right on SR-50 and go west to U.S.-301/U.S.-98. Turn left and go south to Dade City. In Dade City turn right on SR-52 and follow it to St. Leo University and Abbey. About 65 miles. 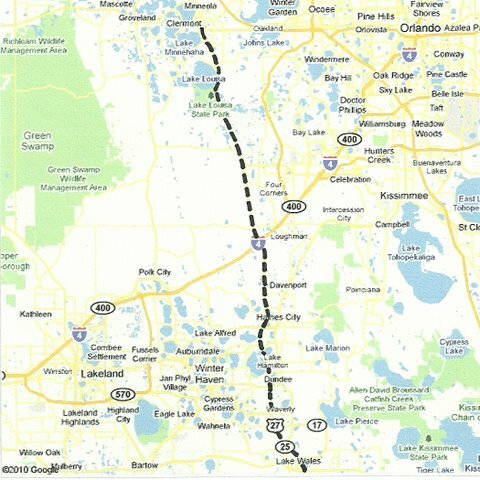 This is the Lake Apopka Loop. 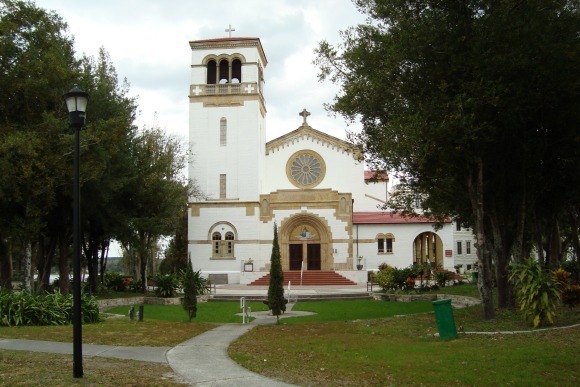 The drive starts in Mount Dora and is a round trip on the toll free back roads. Take Clayton south from Mount Dora and follow it when it turns sharp right to Dora Drive. Stay on Dora Drive to Sadler Road. Turn left on Sadler to US-441. Turn right on US-441 and go under the 429 toll road bridge in Plymouth. Turn right immediately after the bridge and follow the road for several miles until it reaches SR-437A. Turn right and follow this road through Ocoee and past State Road 50 and all the way into Windermere. Go through Windermere and stay on Main St until it bends right and becomes Chase Road. 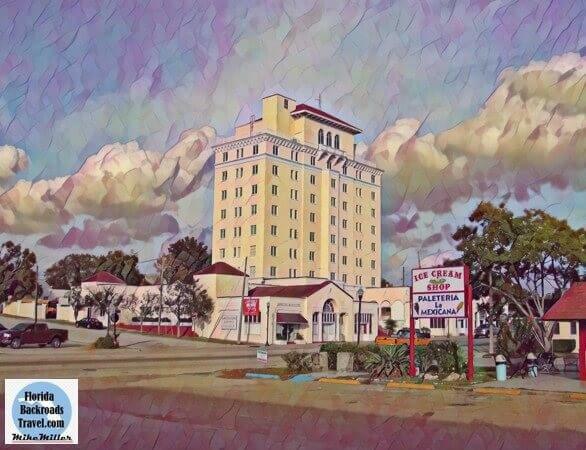 Take Chase to Winter Garden-Vineland Road. Turn right and go north on that road to downtown Winter Garden. Plant Street is SR-438. Turn left on SR-438 and go through Oakland until the road becomes Old County Road 50 Stay on that until you can turn right on CR-455. Stay on CR-455 through Montverde and Ferndale until it hits CR-561. Turn right on CR-561 until CR-48 in Astatula. Stay on CR-48 until it becomes CR-448A. Follow it a short distance to CR-448 (Sadler Drive) and turn right to Dora Drive. Left on Dora Drive and follow the same path back into Mount Dora. About 65 miles round trip. 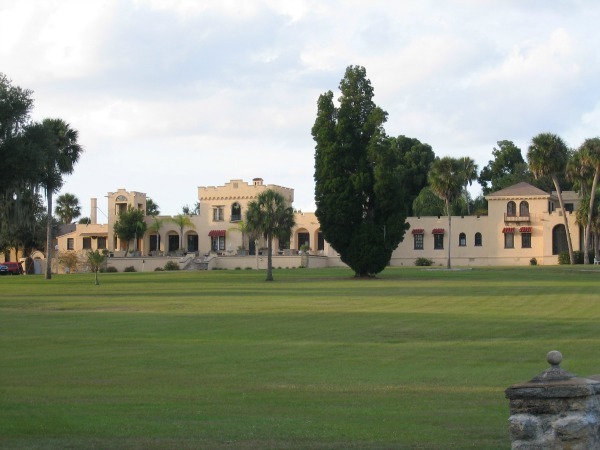 This drive is known as the Emeralda Island Scenic Loop and begins west of Eustis. From CR44, take Emerelda Avenue north to the fork in the road. Turn left and continue north on Emeralda Island Road past the Emeralda Marsh Conservation Area. After an easterly run, the road intersects CR452. Turn south and drive past Lake Yale Baptist Conference Center and then veer right on Felkins Road to Goose Prairie Road. Turn right on Goose Prarie Road and follow it until you are back on Emeralda Avenue. 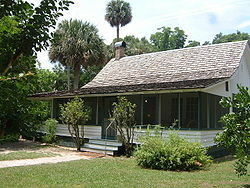 You will be in unspoiled Old Florida all the way with very few houses or other structures, and will enjoy many rolling hills and canopied roads along the way. About 15 miles. 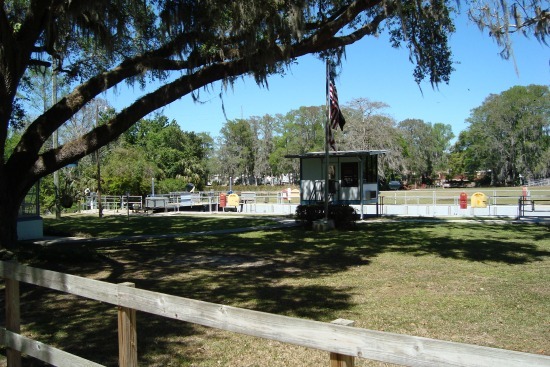 Haines Creek lock is located at about the midpoint of the six mile long canal and creek that connect Lake Eustis to Lake Griffin. 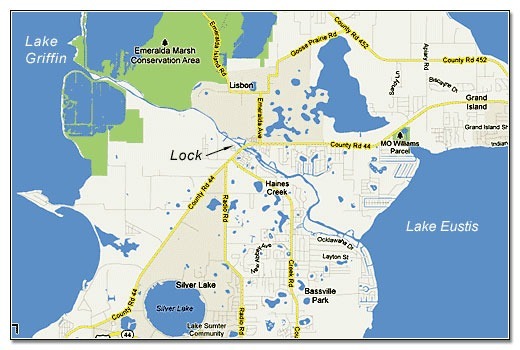 Access to the lock by car is from CR44 by Lock Road which is next to Bonfire Mobile Home Park. The lock is a quiet place to enjoy watching the pleasure and fishing boats that go through in both directions. There is room for two or three cars to park near the lock operator's booth, and it's fun to watch the machinery at work. The lock is usually in operation between 700 am to 700 pm with an hour off at noon when the operator takes off for lunch. This is the Fort Gates Ferry drive. Take SR-19 north through Eustis to Salt Springs in the Ocala National Forest. Look for sign and turn right (east) onto FR-29, a U.S. Forest Service road. Go to the end and take the $10 ferry across the river. Drive from the fish camp to the paved road and turn (right) south to CR-308. Take it into Crescent City and explore. Then take US-17 south to SR-40 and go through Astor back to SR-19 and south to the beginning. About 140 miles. 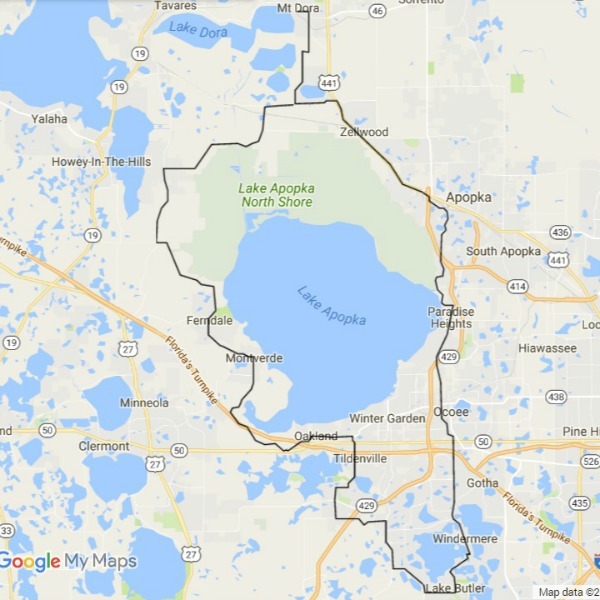 This is an official Florida Scenic Highway that begins in Winter Garden and meanders along the south and west shores of Lake Apopka into Mount Dora. It is a favorite route for cyclists because the rolling hills present a challenge unlike anything else in the state. The trip is about 45 miles. The Sugarloaf Mountain Loop. Start on CR455 in Ferndale (north of Montverde) and turn west on CR561A. Less than one mile later turn right on Sugarloaf Mountain Road. Follow it to CR561, then north to CR455 at the traffic circle and go east back to Ferndale. 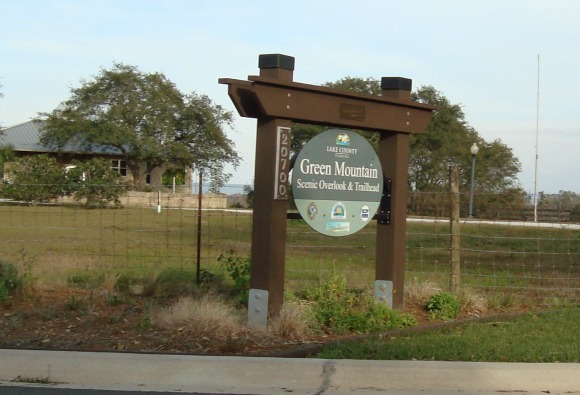 Beautiful rolling countryside, views of Lake Apopka, and the second highest peak in the State of Florida. About 9.5 miles. From On Top of the World take SR-200 northeast into Ocala to US-301. Stay on US-301until SR-20. Take SR-20 to SR-21. Take SR-21 north into Melrose.